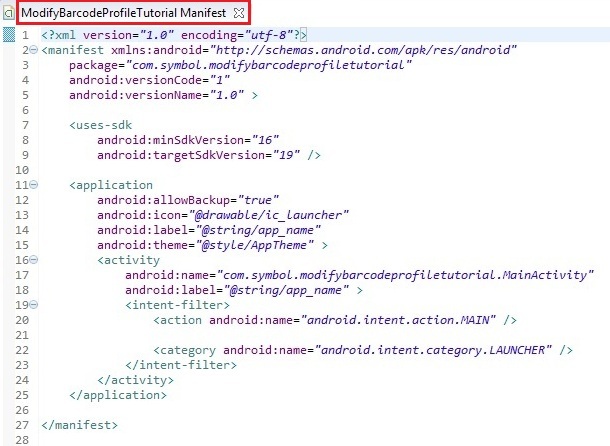 This guide will walk you through creating an EMDK For Android application that will make use Profile Config object to modify Profile Settings programmatically in order to get barcode data into your application using the KeyStroke output feature of EMDK Profiles. 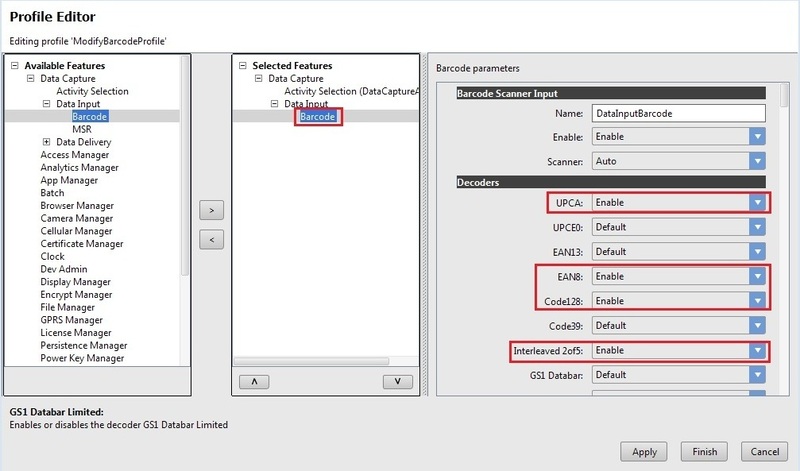 Note: As of EMDK 6.8, DataWedge can no longer be configured for data capture through Profile Manager. Zebra recommends using the DataWedge APIs instead. 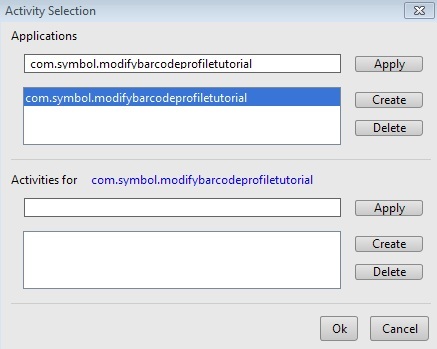 Note: Provide "ModifyBarcodeProfileTutorial" as the project name for this tutorial. 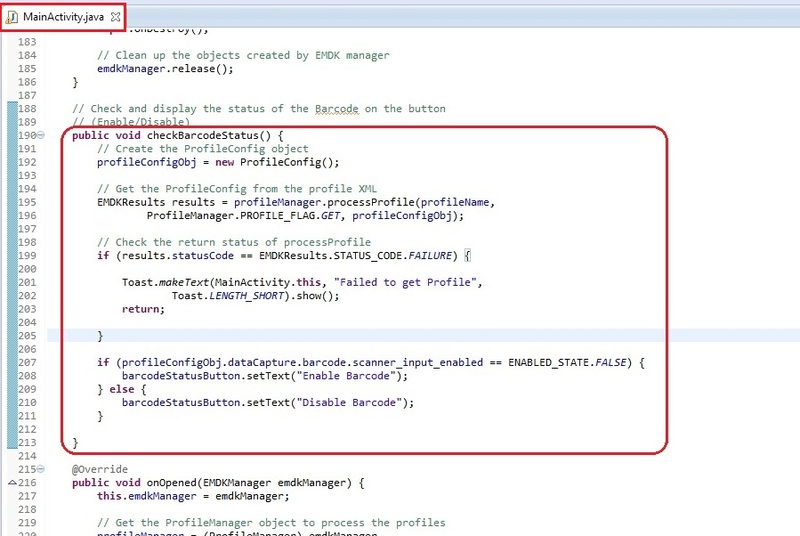 Provide "ModifyBarcodeProfile" as the Profile Name for this tutorial. Now, you can see all the available features on the left hand side of the Profile Editor window. 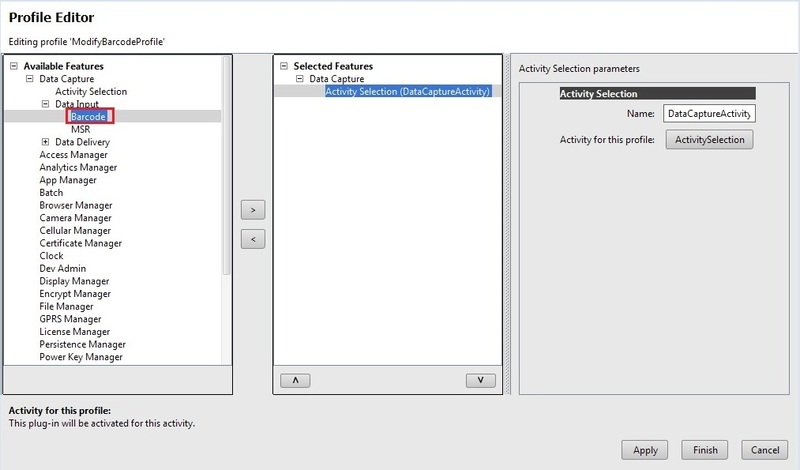 Select any feature from the list and click "Right Arrow" (Ex: "ActivitySelection" has been selected. By using this feature Activities can be associated with the application. 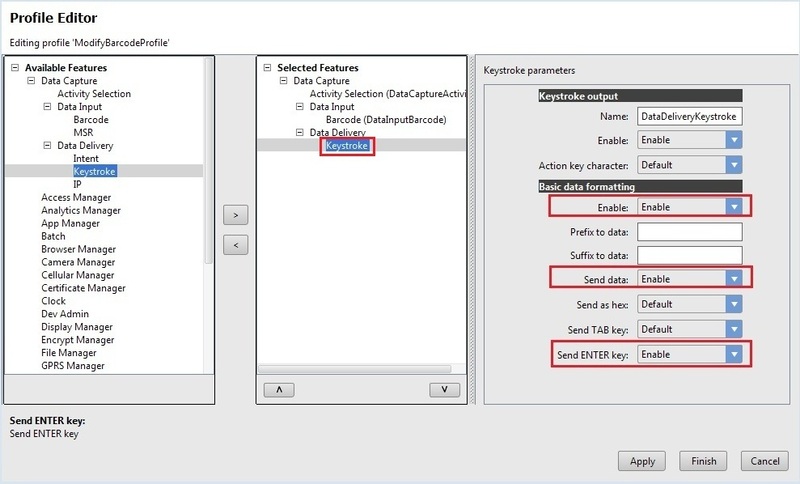 Then the data capture feature will be enabled automatically when the specified activity is in foreground). Provide the name to identify each feature (Ex: DataCaptureActivity). This is required while editing features programmatically. 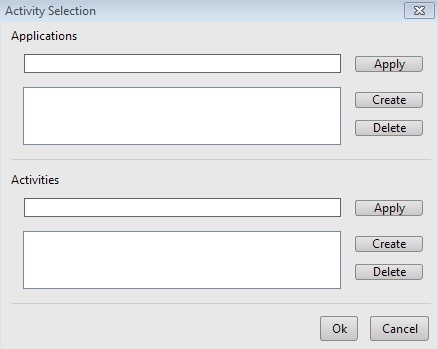 Specify the applications package name and click "Apply". 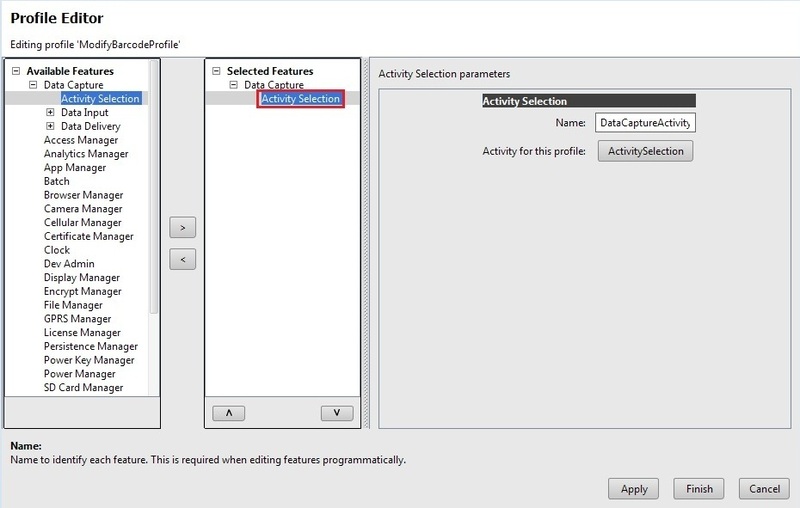 Specify an Activity inside the application and click "Apply". 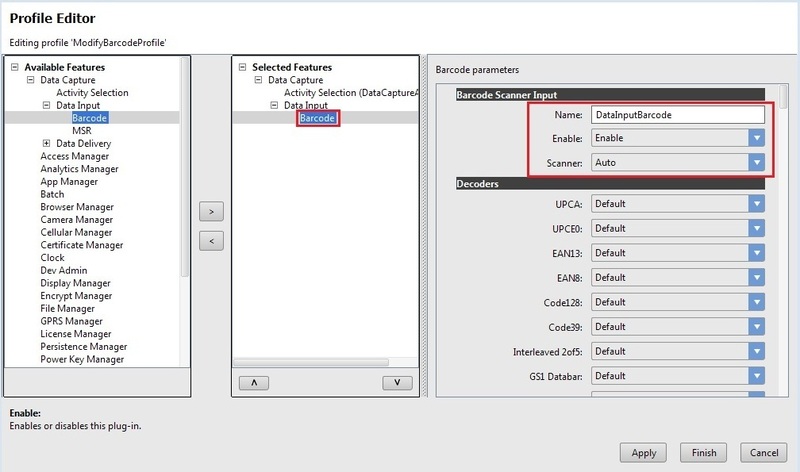 Select any data capture feature and click Right Arrow (Ex: "Barcode" has been selected). Click on the "Barcode" feature in the "Data Input" section. The parameter list will be populated. 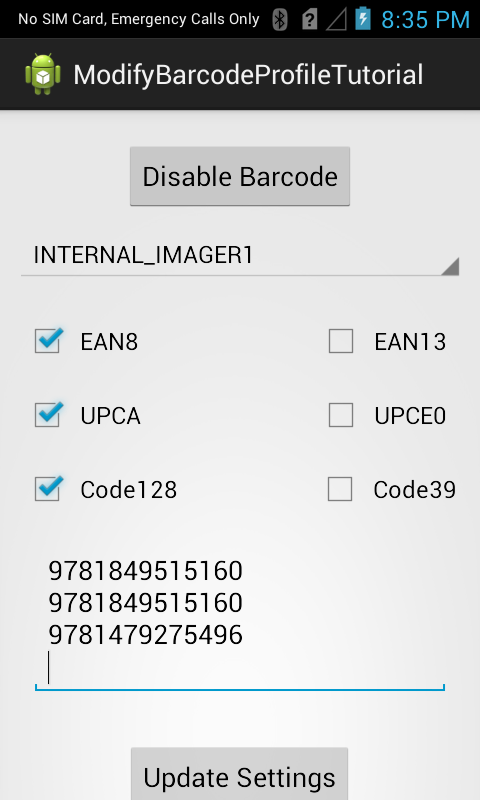 Provide name to Barcode Scanner Input so as to modify it programmatically (Ex: DataInputBarcode). Enable the feature and change some parameters. 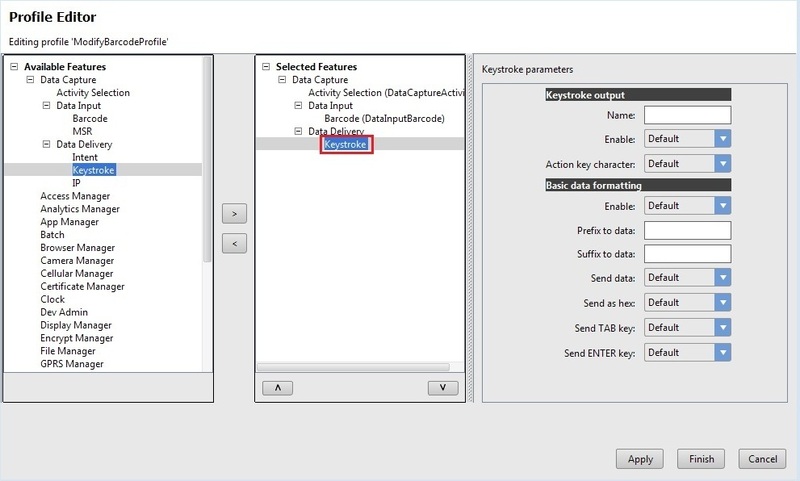 Select the Keystroke feature in the "Data Delivery" section and click "Right Arrow" (Ex: "Keystroke" has been selected). Provide name to Keystroke output (Ex: DataDeliveryKeystroke). This is required when editing the features programmatically. Enable the feature and change some parameters. Note: Now the "EMDKConfig.xml" is created under "\assets" folder. This file will contain a definition of all of your profiles that you create. 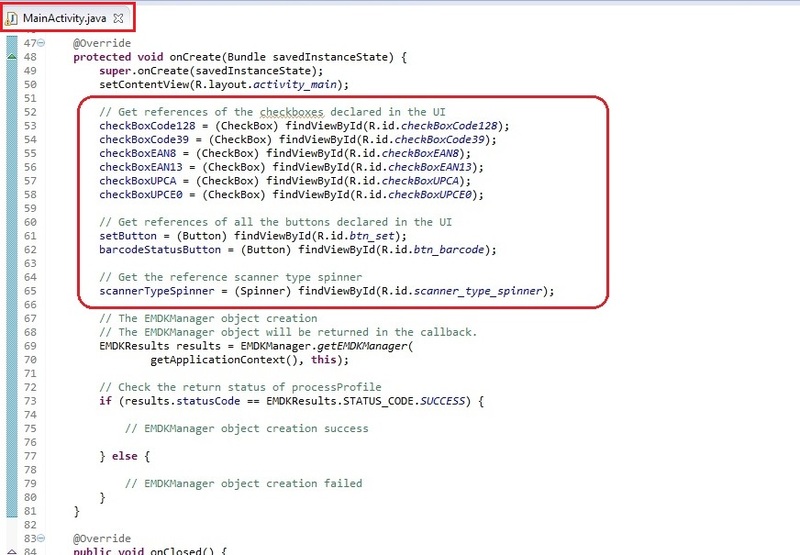 // The EMDKManager object will be returned in the callback. Note: Sometimes the default parameter in onOpened method is arg0. 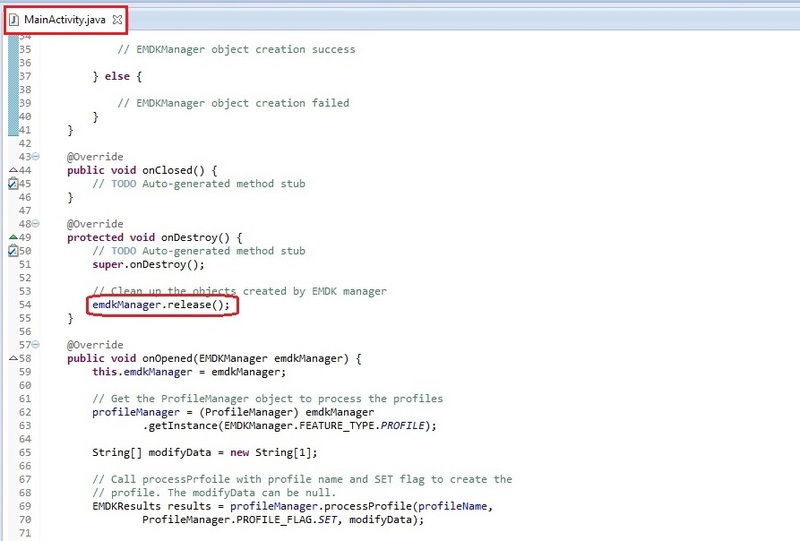 So you have to rename that parameter to emdkManager. // profile. The modifyData can be null. 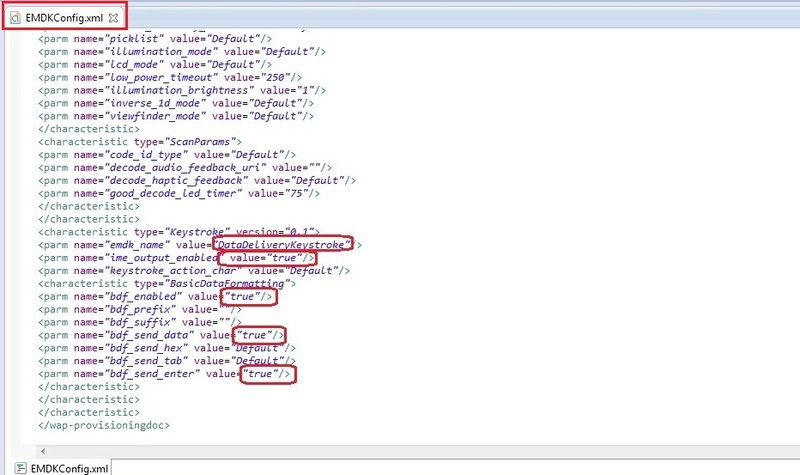 Now lets add some of the string values in "res/values/strings.xml" that we would be using in our layout files. 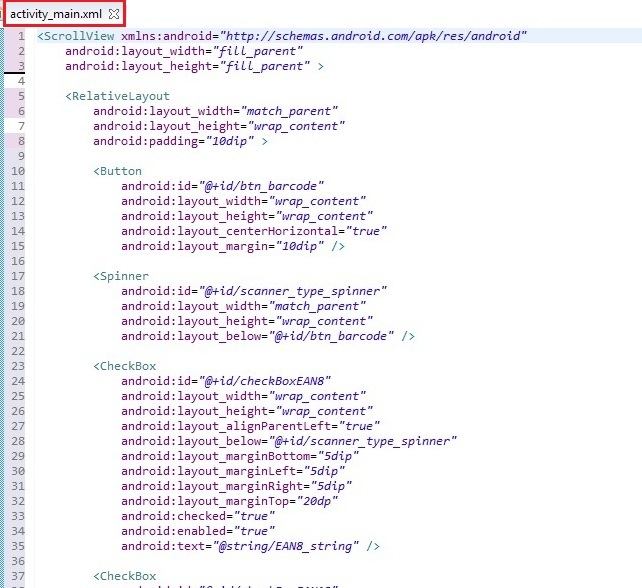 Remove the default code, inside "res/layout/activity_main.xml". add the following code, inside "res/layout/activity_main.xml". This code contains some checkboxes that represent some of the barcode types. 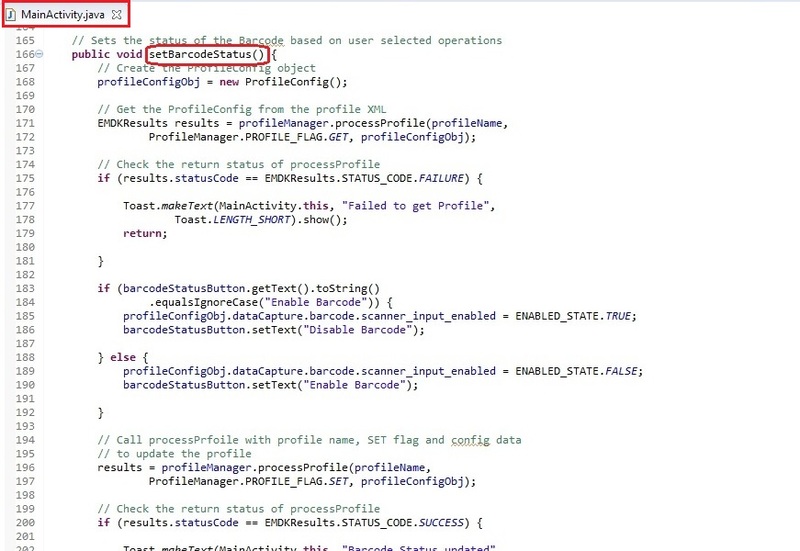 We will change the status of these barcode types "Enable/Disable" programmatically. 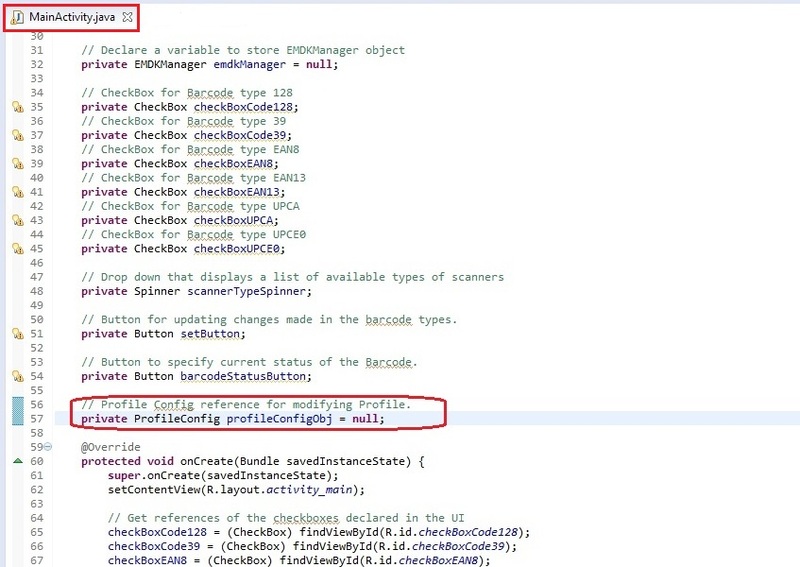 The code also contains a Drop-Down (Spinner) that we would be using to select a specific type of barcode scanner device programmatically. At the bottom, the layout file contains a button "Update Settings" that is used to apply settings selected by the user. 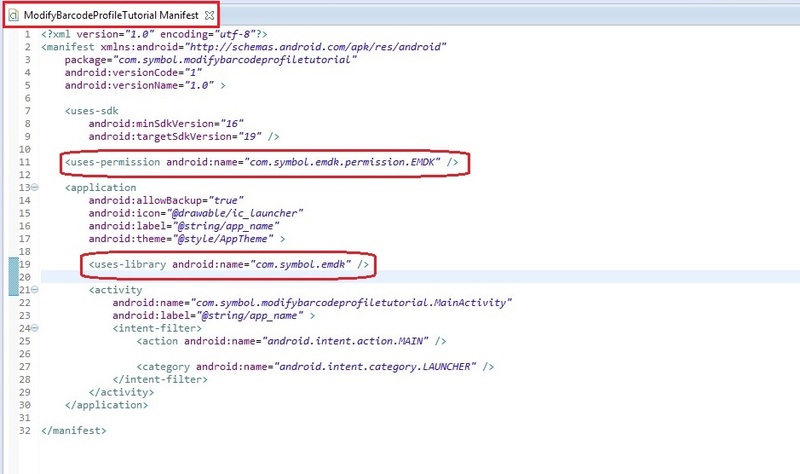 Next, we will declare these UI elements in our activity class by writing following code in "MainActivity.java" class. // Button for updating changes made in the barcode types. // Button to specify current status of the Barcode. In order to implement that, we have created an 'Arraylist' of Strings that contains the list of scanner devices that the user can select to scan Barcodes. This list will be set in an Array Adapter. We have implemented an 'on item selected listener' for this spinner, which would select respective type of scanning device programmatically. // Adapter to hold the list of scanning device types. // On Item Selected Listener of Spinner items. // Set the user selected device type as scanning device. 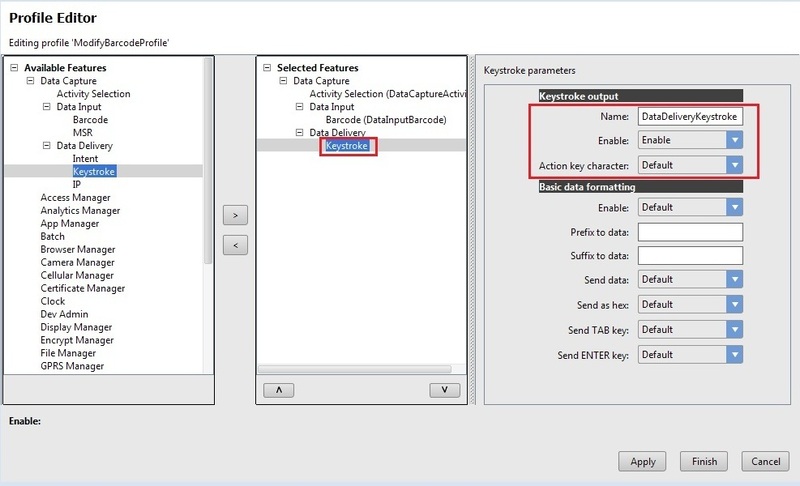 The method 'setDeviceType()' takes the position of the user selected device type from the drop down and modifies the profile settings by accessing Profile Manager API. The preferred way is to use the profileConfig option and the examples below present using such option. 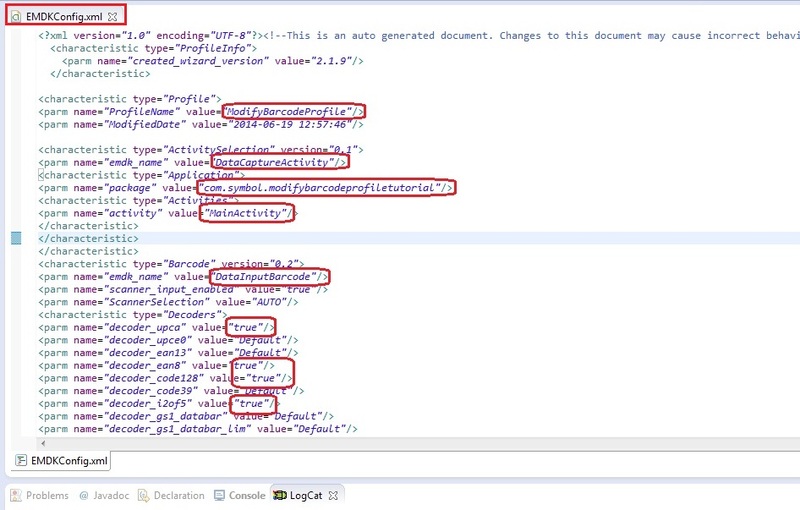 Using the Document or String methods may not work if the XML is not structured properly. 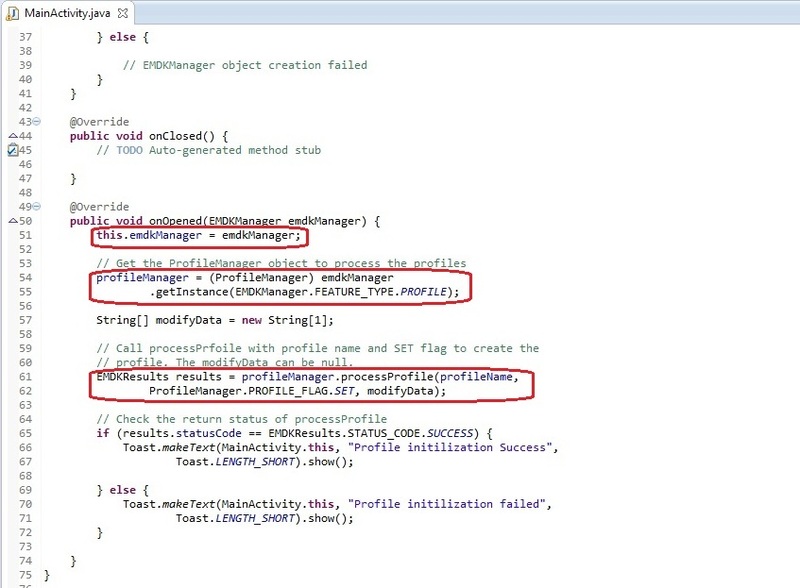 So, we will create reference of 'ProfileConfig' in the MainActivity.java class. // Profile Config reference for modifying Profiles. Use the PROFILE_FLAG.SET option to save the settings. The user would be notified via Toast if the profile does not exist. The method accepts a String argument, which is the type of scanning device selected by the user from drop down. 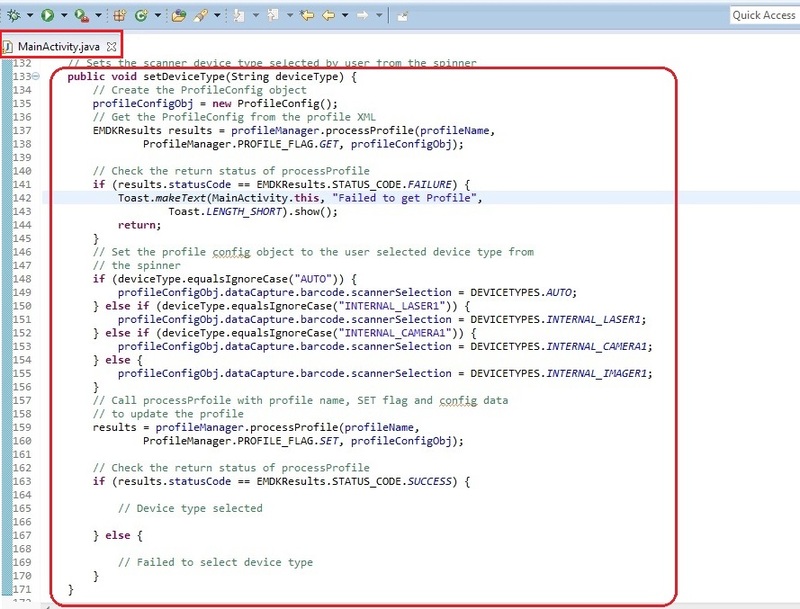 Based on this parameter, the problemConfig object would be modified and set to the user selected device type. Here's the code for selecting specific type of scanning device programmatically by modifying the profileConfig object in 'setDeviceType' method. 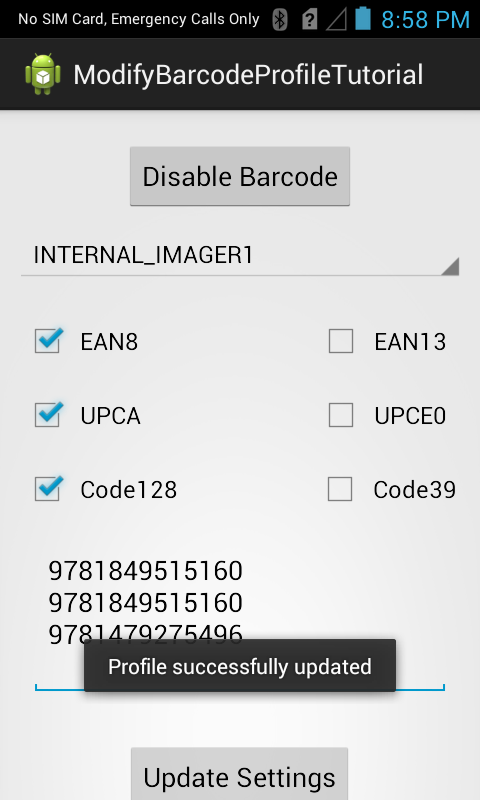 Once the profile is retrieved using 'PROFILE_FLAG.GET', we will check 'profileConfigObj.dataCapture.barcode.scanner_input_enabled' parameter in the 'checkBarcodeStatus' method and set the status on the 'barcodeStatusButton'. 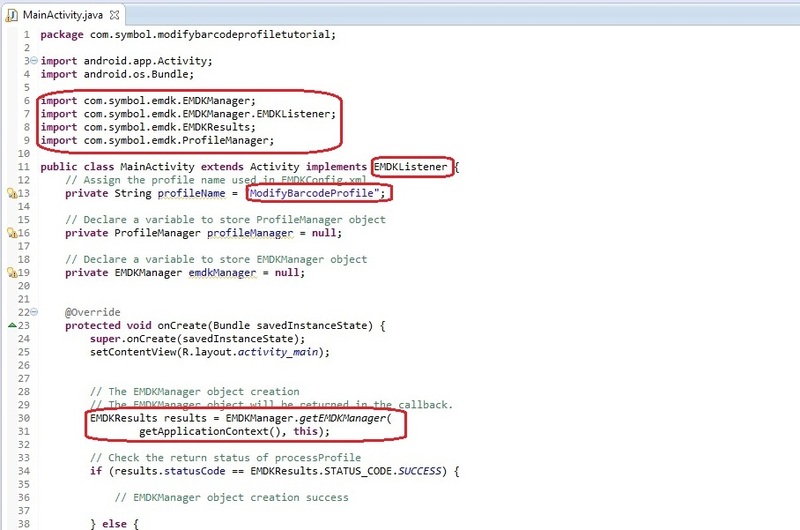 This method is called when the EMDK Manager is ready in the 'onOpened()' method of the 'MainActivity.java' file. Apart from this, we have few checkboxes that represent different types of barcode and two buttons 'Barcode' and 'Update Settings'. 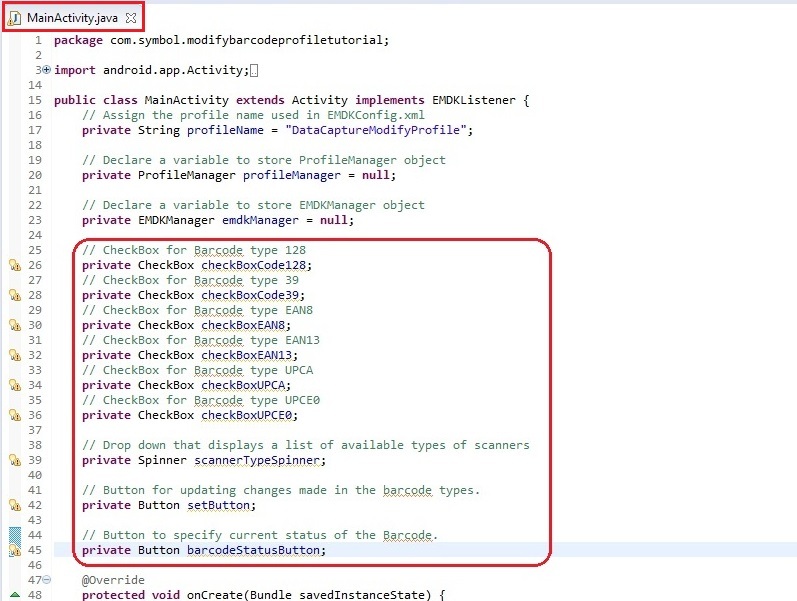 Lets concentrate on the top button that allows user to Enable/Disable Barcode scanning programatically using profileConfig object. If the scanning is enabled, the user can disable it by pressing 'Disable Barcode' button so that the application will not be able to scan any barcode. 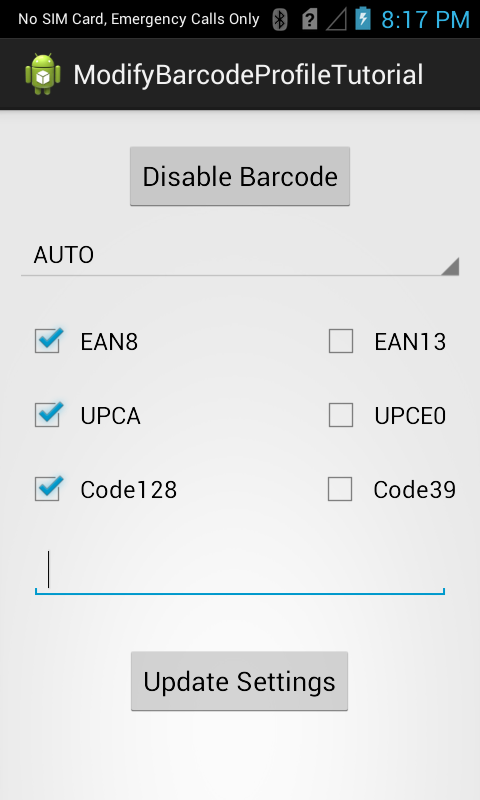 If the scanning is disabled, the user can enable it by pressing 'Enable Barcode' button. 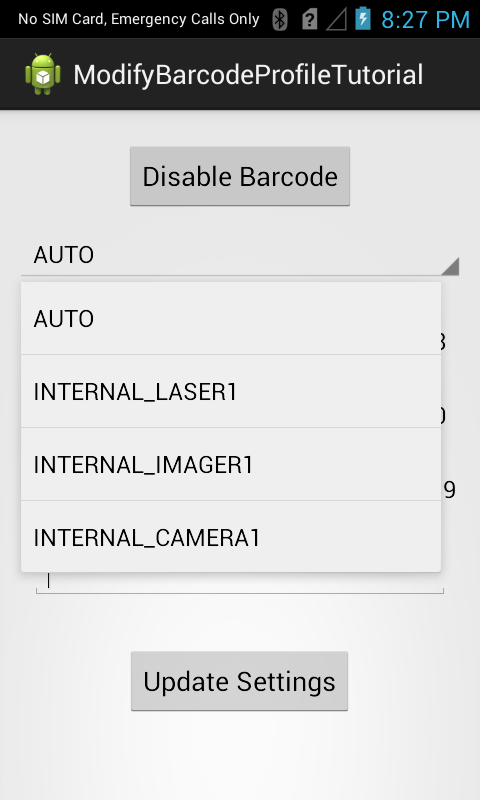 The checkboxes represent different types of barcode types that can be scanned using this application. The user can select the desired types of barcodes that need to be scanned by the application. 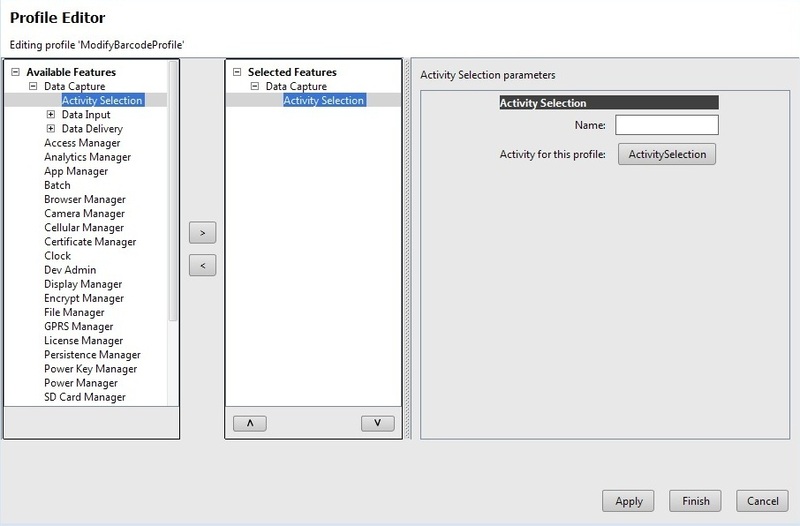 Once the checkboxes have been selected, the user will press 'Update Profile' button that would update the profile settings based on users selection. 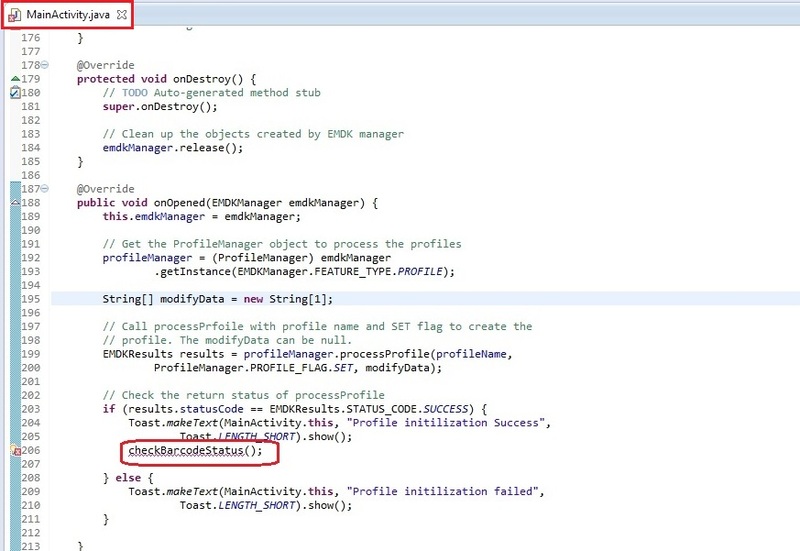 So we will implement both of these functionalities using 'profileConfig' object. 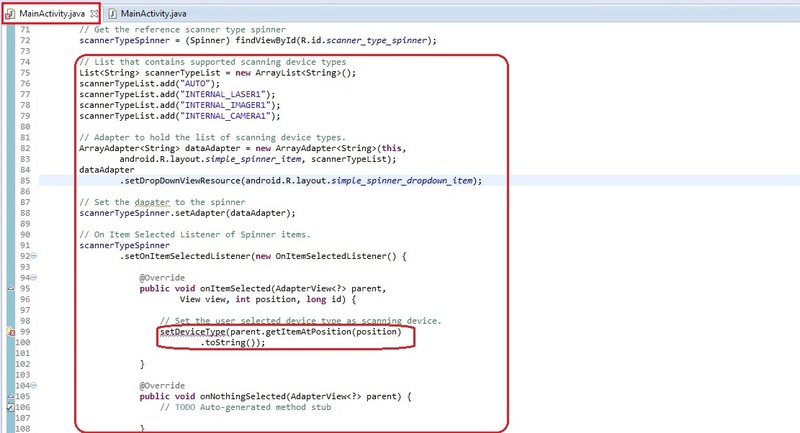 In order to implement this, we need to implement 'on click listener' of both of these buttons. We can do it by writing a common 'on click' method and perform operations based on the button ID's. We would now write the on click listener that has the common onclick method in which we have called the respective operations based on button ID's. We have shown Toast messages wherever necessary to inform user about the operations being performed. 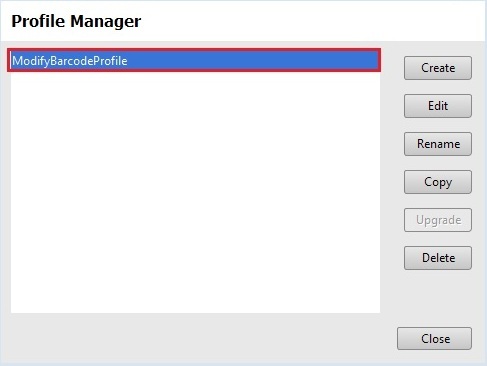 As explained earlier, the button Barcode is used for updating the Barcode status using profileConfig object by calling 'setBarcodeStatus' method. 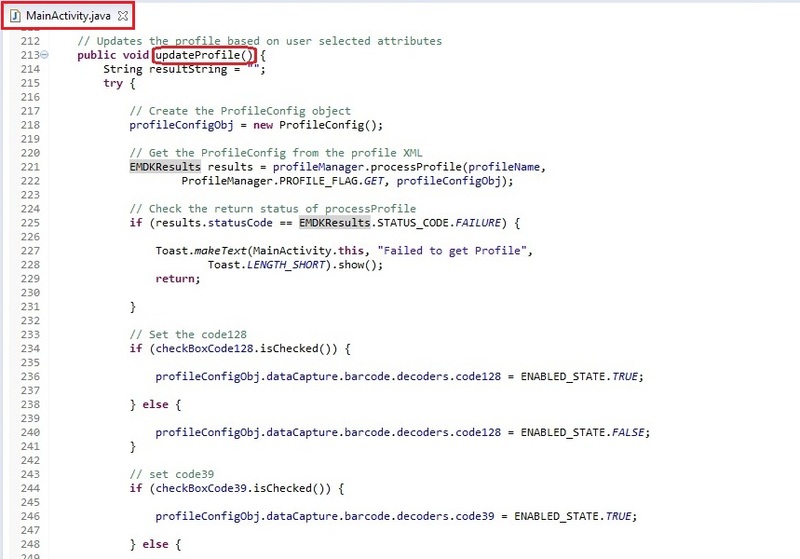 Finally, we would implement the on click listener for 'Update Profile' by calling 'updateProfile' method. 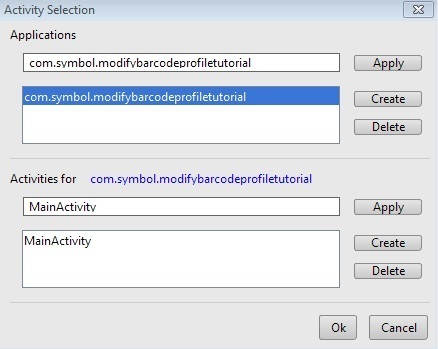 This method would update the status of all the checkboxes (Enable/Disable) that represent the various barcode types. So if a particular barcode checkbox is unchecked, the user will not be able to scan that specific type of barcode and vice-versa. So now we are done with the coding part. Lets test our application. 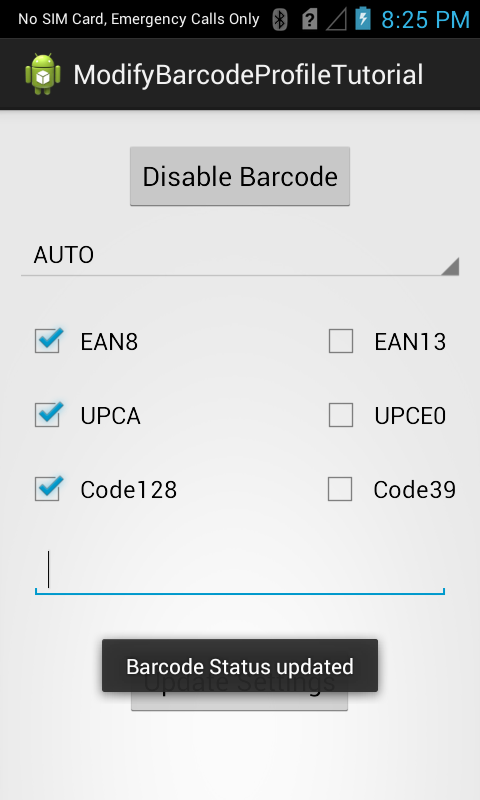 Enable/Disable Barcode scanning by pressing Barcode button on top of the screen. Note: If the barcode disabled, you will not be able to scan any type of barcode. Choose the specific type of barcode scanning device from the drop down. Now select the desired barcode types from the checkboxes and press the Update Settings button. This will modify the profile settings. Now press trigger button to scan the respective types of barcodes. The scanned data will be populated in the Edit Text field added to the UI. Note: Only those typs of barcodes will be scanned that are checked in the checkboxes. 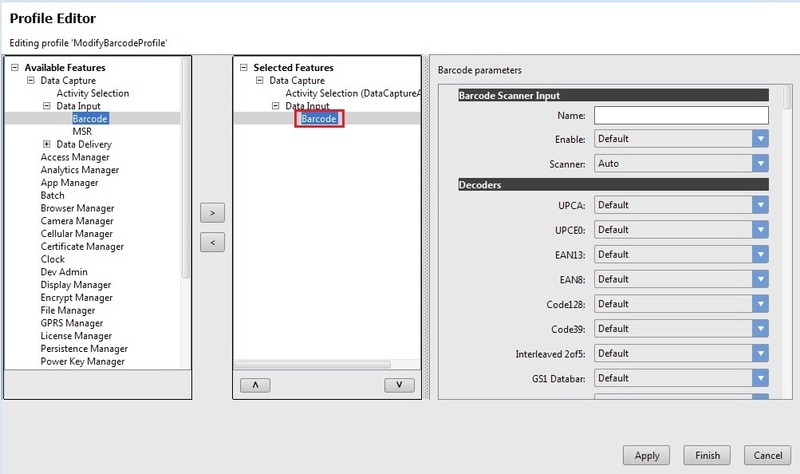 When using the "Barcode" feature in EMDK Wizard, the specified value for "Scanner" is not supported on the device, it will be considered as "Auto" during runtime (Ex: BT_LASER1, BT_IMAGER1 and BT_CAMERA1).